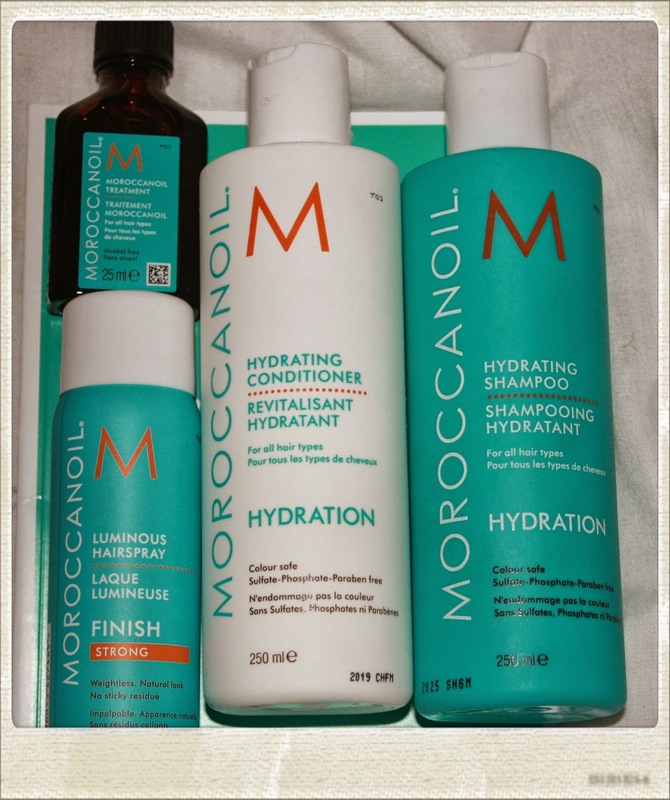 Lippy in London : I Heart Moroccanoil! I'm very late to the party with this one. 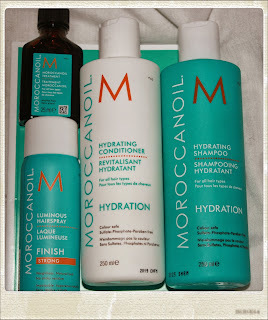 To be honest, I sort of ignored the Moroccanoil hype when it rolled around a few years ago, partly because it was notoriously expensive and partly because...it was notoriously expensive. This all changed when I attended the Handpicked Media LFW bloggers suite last weekend and had the chance to get my hair did by the uber talented, extremely lovely Errol Douglas using Moroccanoil products. Errol was on hand to give attendees hair advice before giving us styles to rival the models stomping the catwalks. Errol showed me a quick and easy way to get big hair using curling tongs, fingers, a light application of Moroccanoil hair oil and Moroccanoil hairspray. 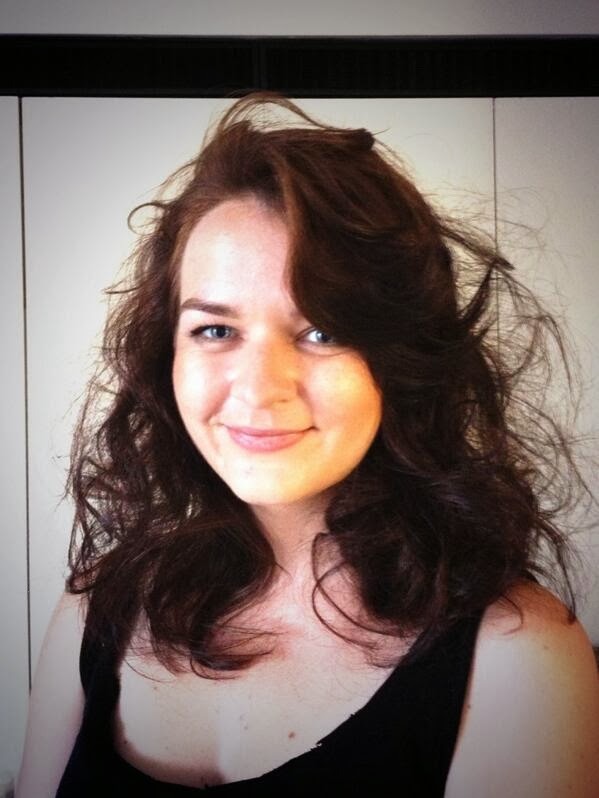 The result was big, glam hair reminiscent of Sigourney Weaver's character in Ghostbusters. May not be everyone's cup of tea, but I loved it! Since the event, I've been using Moroccanoil shampoo and conditioner as well as the oil and hairspray and I've gotta say I'm hooked. Everything about this stuff rocks - the feeling of my hair after I've washed it, the hold of the hairspray and the scent of Moroccanoil in general is just beautiful. Because I'm in a constant state of greasy hair paranoia, I was a little concerned that Moroccanoil would be too heavy for me and I'd wind up looking greasy around the roots after a matter of hours but it seems to be just the right balance of hydration for me. Win! Just washing and conditioning alone leaves my hair super shiny and healthy looking but adding the original hair oil as well takes it to a whole new level of awesome. The hairspray definitely deserves an honourable mention too- I have the Strong hold version of the spray and not only does it do what it says on the tin, it is easily brushed out and smells absolutely incredible (though I don't recommend inhaling it on purpose..). Moroccanoil products can be found in loads of salons around the country but if you're looking for Errol Douglas, you can find him at his salon in Knightsbridge and by clicking here. Your hair looked beautiful! I hope we get to meet again soon! A few years a ago, my hairdresser spotted me as a sucker and talked me into buying the oil plus a sample pack of the shampoos. I was so annoyed, having to fork out more money on top of the $100 for my haircut and grumplily went home. Then I used the oil.. I thought it was magic in a jar and I started telling everyone about it. Ever since then I've used the oil for the last few years. I put it in my hair just after I shampoo, when it's still wet, before blow drying and straightening and the finished product is always amazing, not a hair out of place and my hair feels like silk.